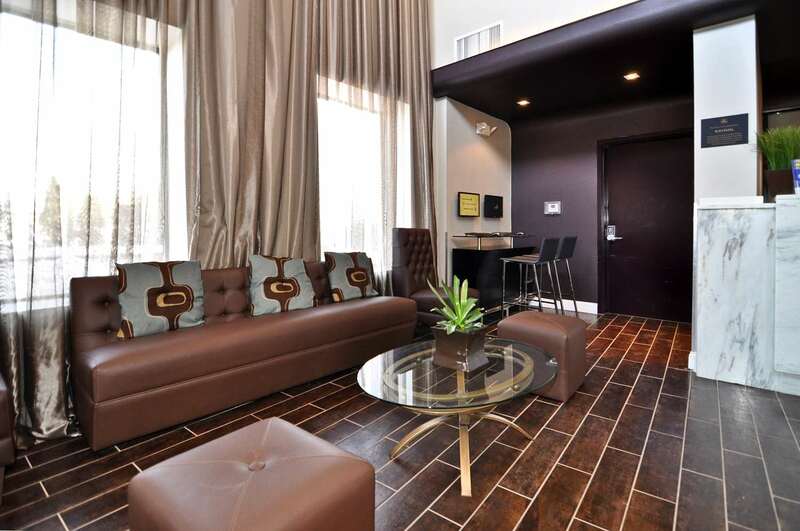 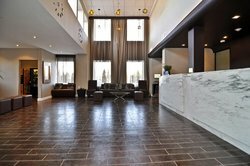 Stay with us at the best hotel in Newark! 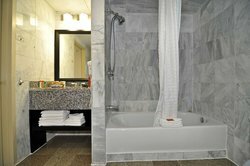 See for yourself below – our full service hotel has beautifully renovated accommodations and offers complimentary breakfast, Wi-Fi and a Newark airport shuttle. 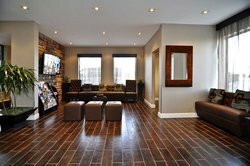 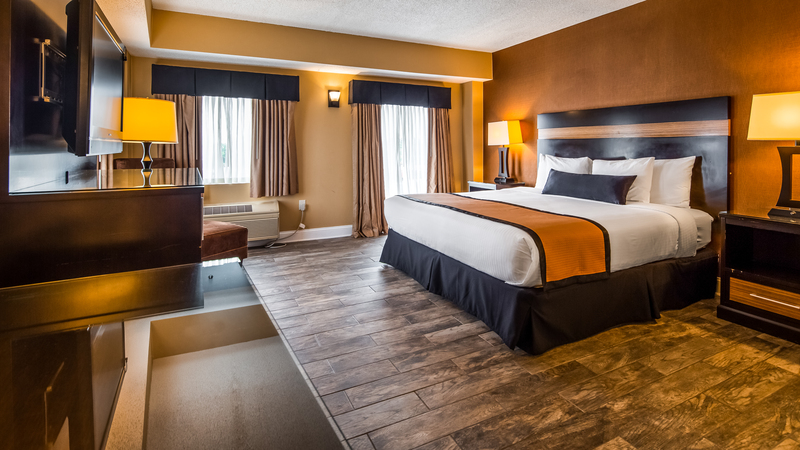 Our full service hotel offers many complimentary amenities so that guests can have an enjoyable stay with us in Newark, just one mile from the airport. 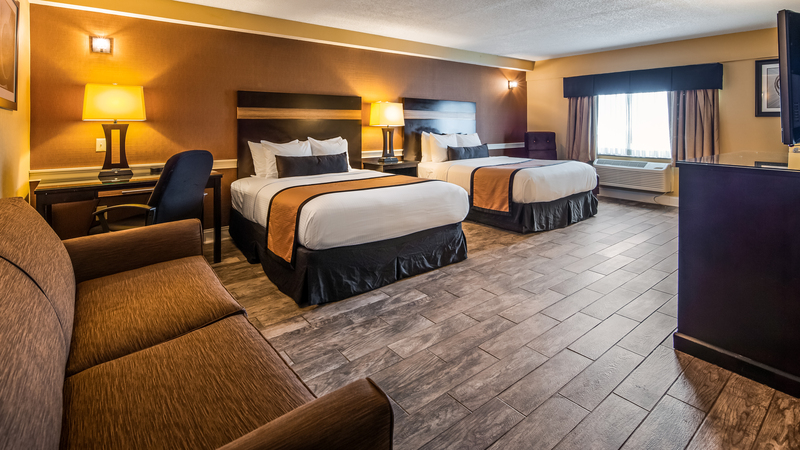 If you are traveling with a small group of people, book a Two Queen Room and accommodate up to four guests in one room at our Newark Airport hotel. Enjoy affordable rates very close to New York City. 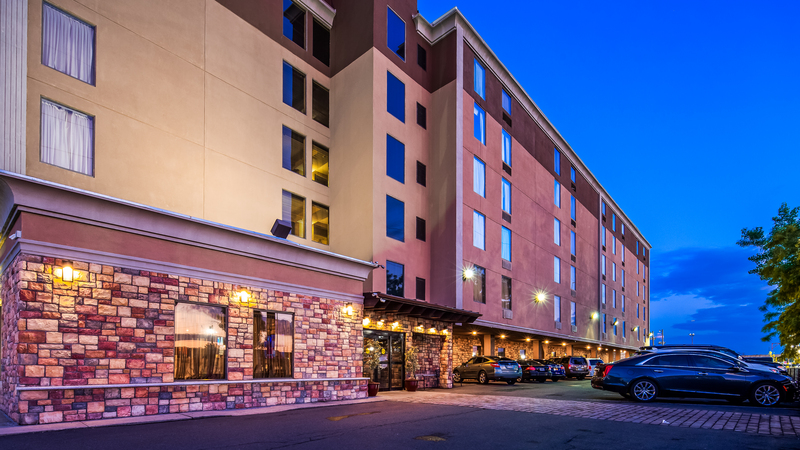 During your business stay with us at the Best Western Plus Newark Airport West, take advantage of our copying and faxing services, as well as our onsite business center. 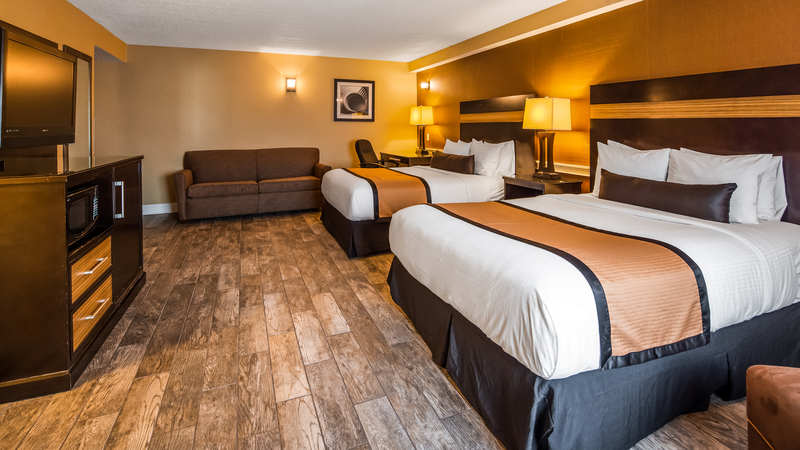 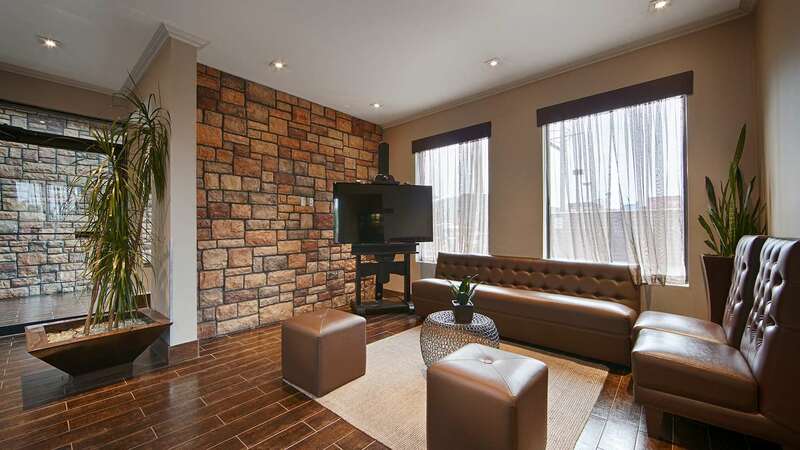 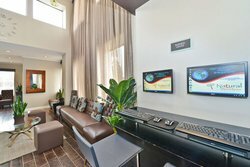 Enjoy complimentary high-speed wireless internet in your guest room, so you can get your work done right from your room. 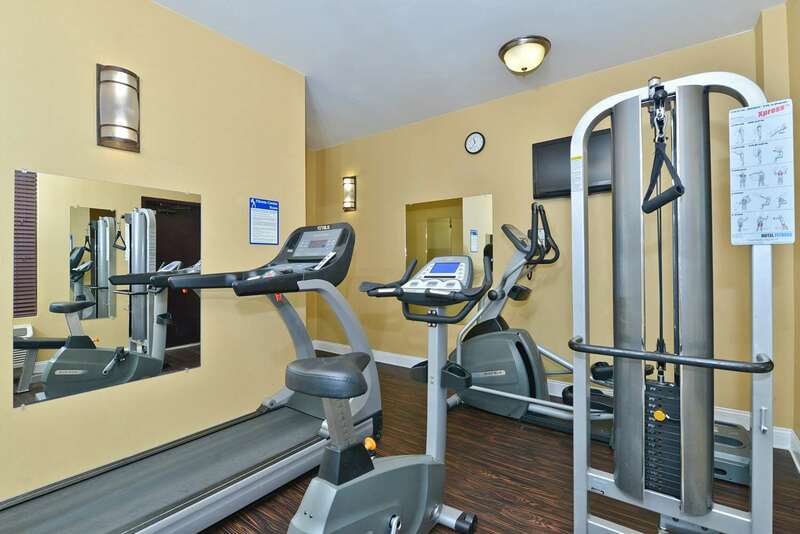 The Best Western Plus Newark Airport West hotel offers guests access to an onsite fitness center so they can get their daily work out in – even when they’re on the go. 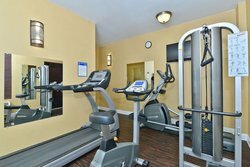 Our convenient location near the airport will mean that you’ll never run out of time to hit the gym before you catch your flight. 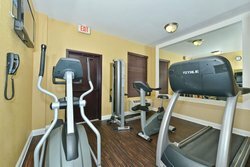 Stay fit in the onsite 24 hour fitness center at the Best Western Newark Airport West. 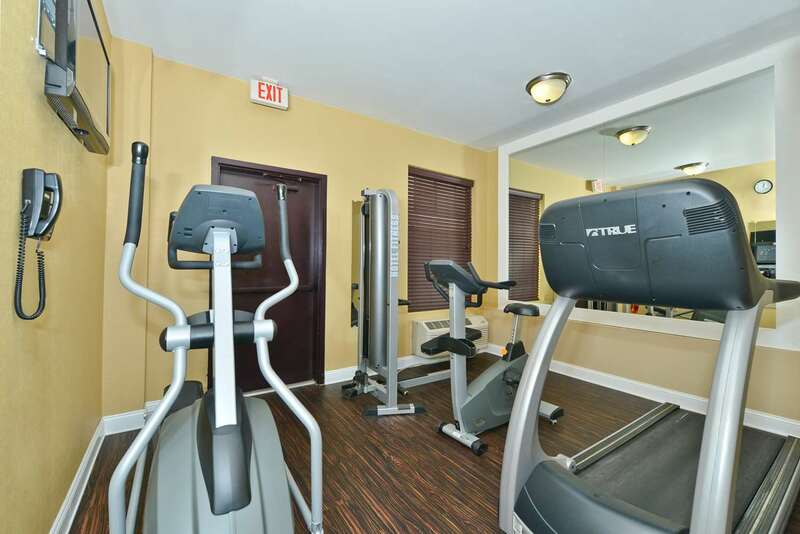 We have a variety of cardio equipment and other machines that will help you stay in shape when you visit Newark. 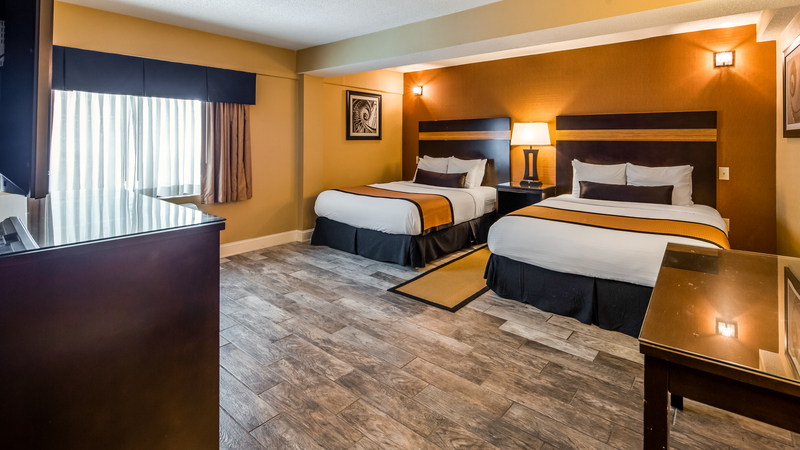 At the Best Western Plus Newark Airport West, we understand that after a long flight, you don’t want to have to leave the hotel to search for something to eat. 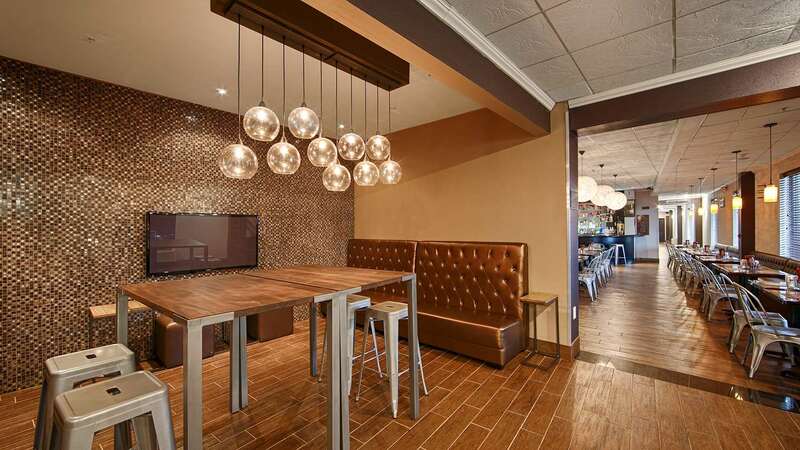 Our hotel is partnered with an onsite restaurant and bar where you can grab a bite to eat for dinner. 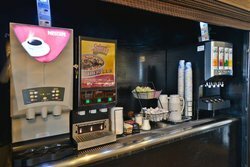 Contact us for more information and menu items. 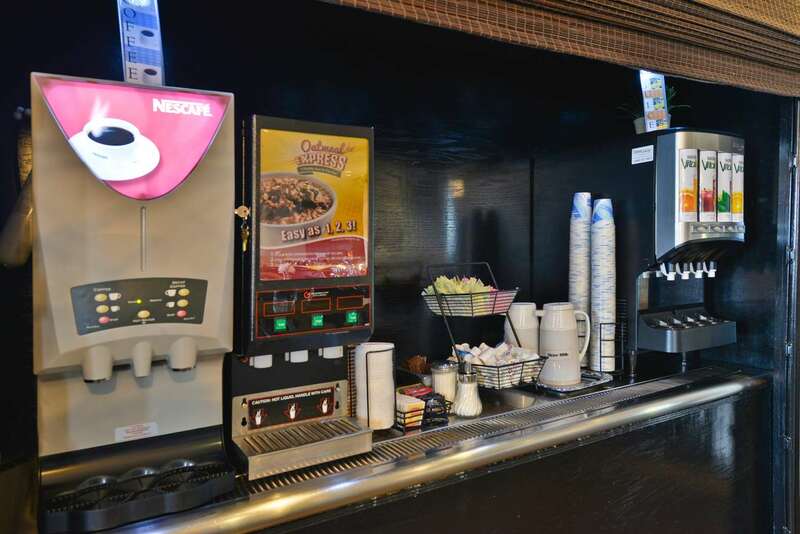 Need a meal in a pinch? 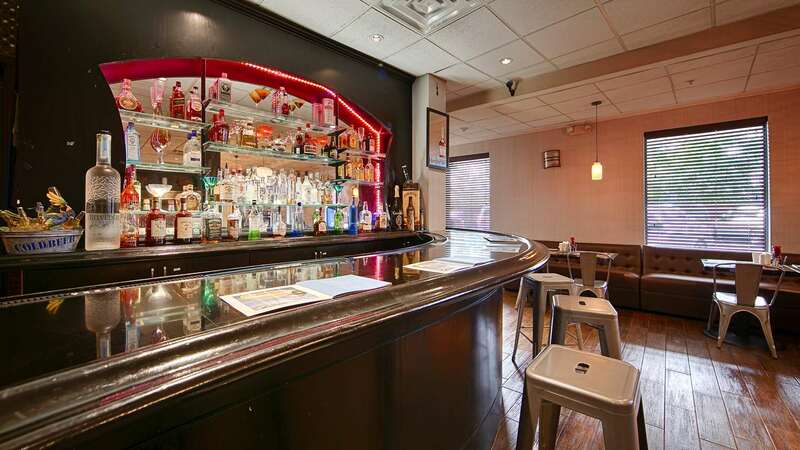 Don’t have much time to search for restaurants? 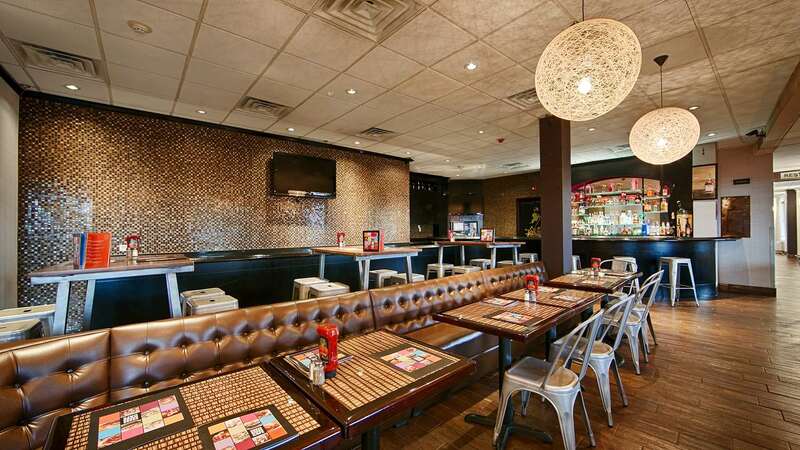 Dine with our partner onsite restaurant at the Best Western Plus Newark Airport West hotel. 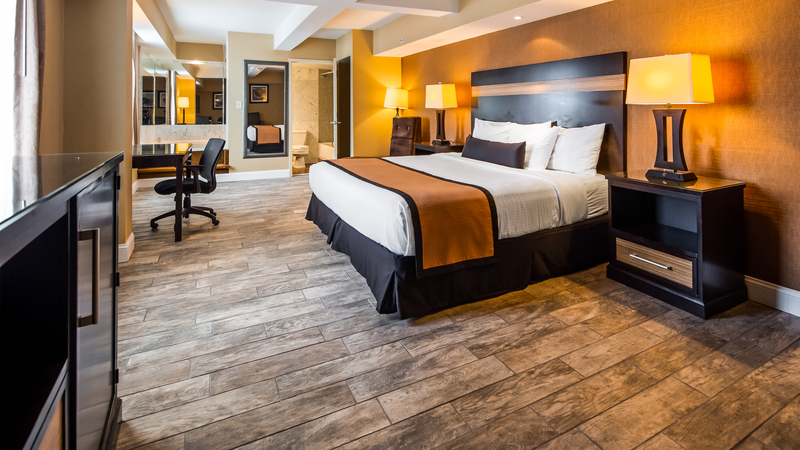 Contact us for more details about room service hours.